Recently, I decided to revisit an application which I was introduced to some time back – Guru Shots. 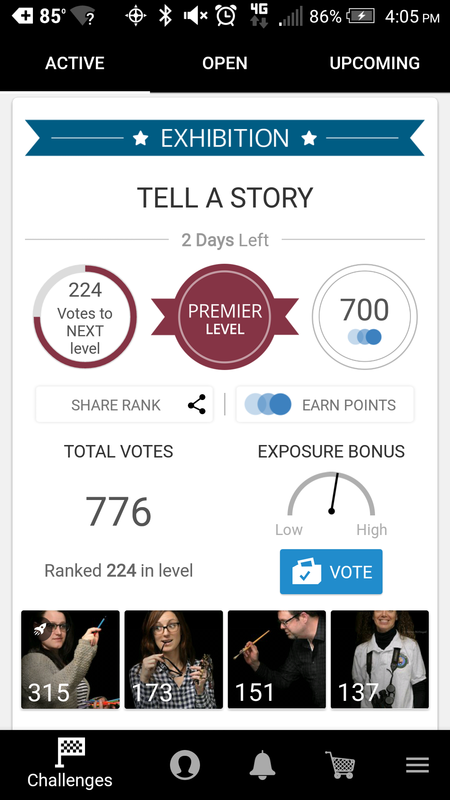 Guru Shots advertises itself as the world’s greatest photography game. 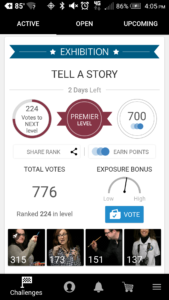 It gives the player the opportunity to submit photos and to allow others to vote on them in various themed challenges. But, it has inadvertently changed my perspective on my unused photos from forgetting them to rediscovering my unused photos. When I say rediscovering my unused photos, I don’t mean I suddenly found a diamond in the rough which is going to make me a million dollars; I sometimes wish I did. But not all photographs that you take will be ideal for exhibition display and not all photographs are good for getting large sales. Some, however, are good enough for themed competition and that is what I am learning now. These are not photographs I take without thinking through them and what I want to accomplish. I still take them with the same degree of focus on detail as I do with my other shots, they just do not garner the same level of appeal as some of my more refined shots. In returning to guru shots, I have been able to quickly move from a rookie to a challenger and I am looking forward to moving to advanced status. I am enjoying the opportunity to reuse these other photographs and to get me thinking more about the photographs I never use. What’s more, it is allowing me to see how these photographs could be made more appealing by putting them together as collections rather than as single, immaculate one one-off shots. But more importantly, it is putting me in the mood to go out to get more shots. There is a well known saying by Anselm Adams. So what happened to the other odd thousand you took on the way to get those masterpieces. Some are not worth to see the light of day. But, there are others which did not make the cut, not because they weren’t good but because they didn’t express the idea that you wanted for the shoot. They communicate something else, and, rather than have them sit on a hard drive taking dust, dust them off and use them. I am not marketing for guru shots but rather encouraging you to get up and get more engaged in photography by not only shooting, but critically studying your photographs and seeing them differently. That is what I learned from my experience with guru shots and it has helped me in rediscovering my unused photos.